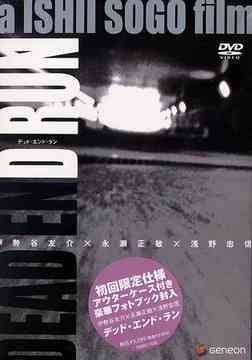 Dead End Run is an hour length collection of three short films by Japanese visual genius Ishii Sogo. Starring three of Japan’s hippest and most talented actors: Yusuke Iseya (Casshern,) Masatoshi Nagase (Electric Dragon 80,000V) and the extraordinary cool Tadanobu Asano (Ichi the Killer, Electric Dragon 80,000v.) Each short focuses on the protagonists running away from a threat, be it a hitman or the police then finding themselves stuck in a dead end.